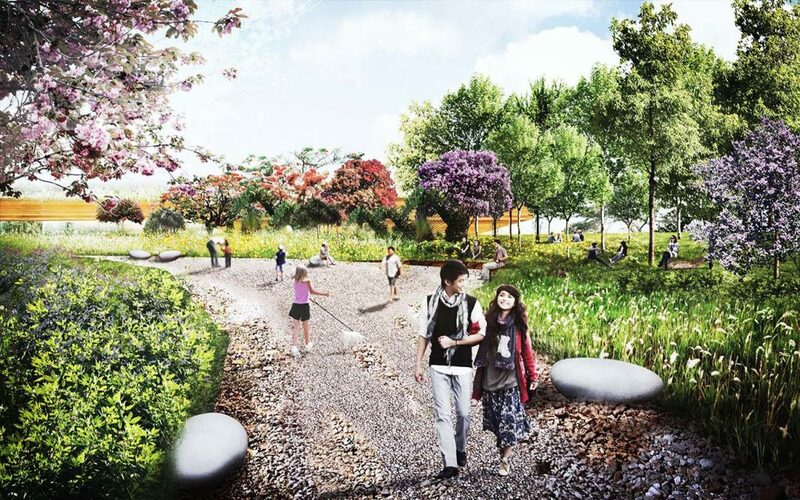 Located at Hoa Lac high-tech park, the upcoming “silicon-valley” area in North Vietnam, 40km from the Hanoi centre, the park will be at the heart of the masterplan, providing a green lung for future high-rise development. 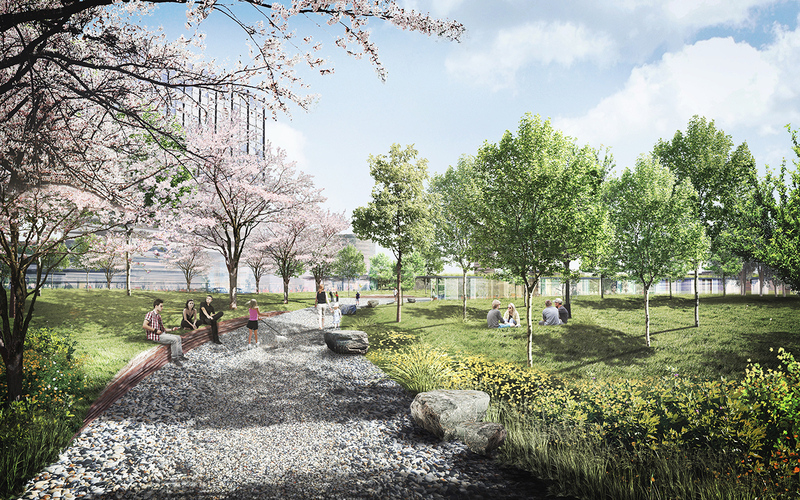 Surrounded by technology development, it’s important that the park takes a step back into nature, providing breathing space and repose. Tan Xa Lake which runs around the periphery of the park, overflows during the rainy season. The project envisions the flow into the master plan and allows for the creation, when drained, of paths, plaza and pockets. The trace of the water becomes the main pedestrian axes for the future users of the park; a social connector. This concept influences all elements in the park. From the landscape, to the paths, the outdoor furniture to lighting, signage and facilities structures. The goal is to create a complete natural park that encourages soft mobility throughout the village and creates a sense of community. The park is discovered step by step by the visitor, high landscape density, turning path, hills and successions of plazas create different environments to frame the view, proposing different kinds of scenery and different types of public spaces. In the central park we can find a community hill, natural hill and delta hill. Each is designed with a specific landscape thematic to fit perfectly with its use and spirit. The connection parks, which act as branches to link the central park to Tan Xa Lake, are designed as “stream parks”. They facilitate movement and contain activities such as cafeterias, resting bungalows, indoor games, restaurants designed as “season parks”. 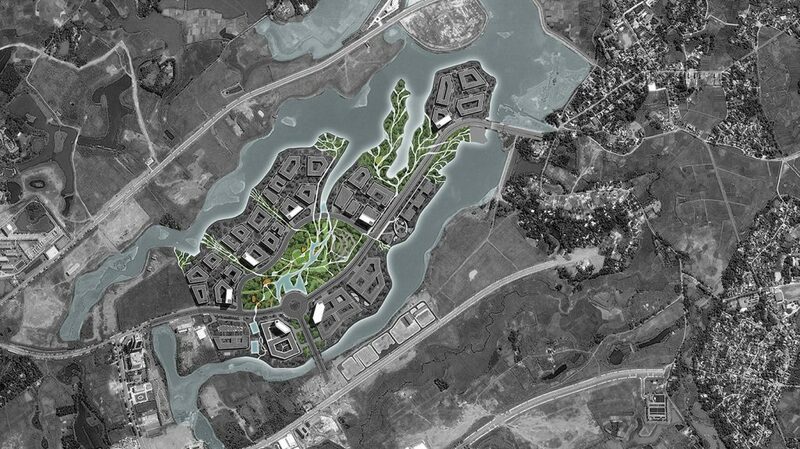 The richness of variation in the masterplan gives to the user a diverse experience when working in Hoa Lac high-tech park.